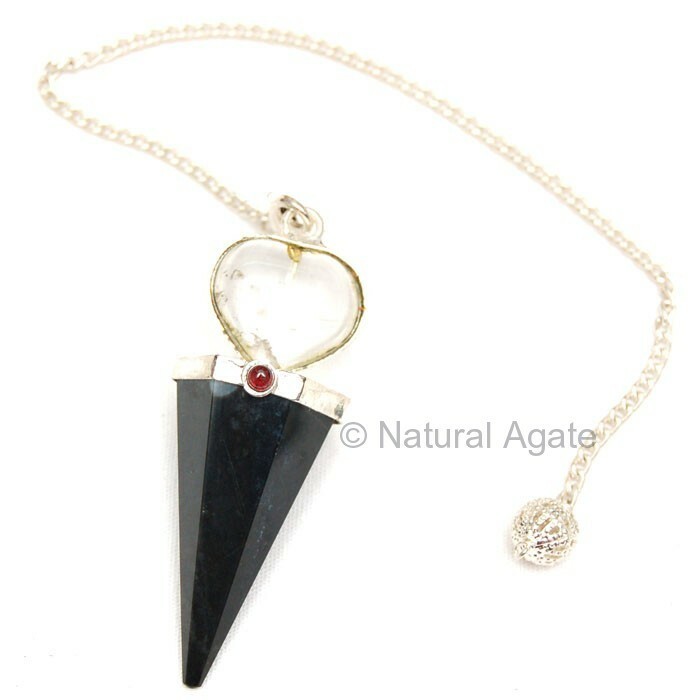 Black Agate Pendulum with heart made from crystal quartz supports you during the time of bereavement. Besides it attributes, hang it anywhere to add charm in your room. It can be availed from Natural Agate.